Golf.com has always been one of my favorite sites to catch up on what’s going on in the world of golf. I enjoy their special features and their Q&A section (check out this great one with Brandel Chamblee if you haven’t read it yet). 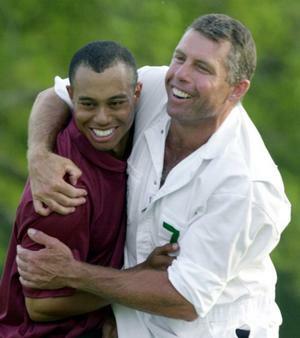 But this week Tiger Woods hysteria has turned Golf.com, and the other mainstream golf sites, into sites that more closely resemble rival tabloid journalism sites. The first 6 stories listed under Golf.com’s “Top Stories” section all were about Woods, his suspicious crash and his wife Elin. 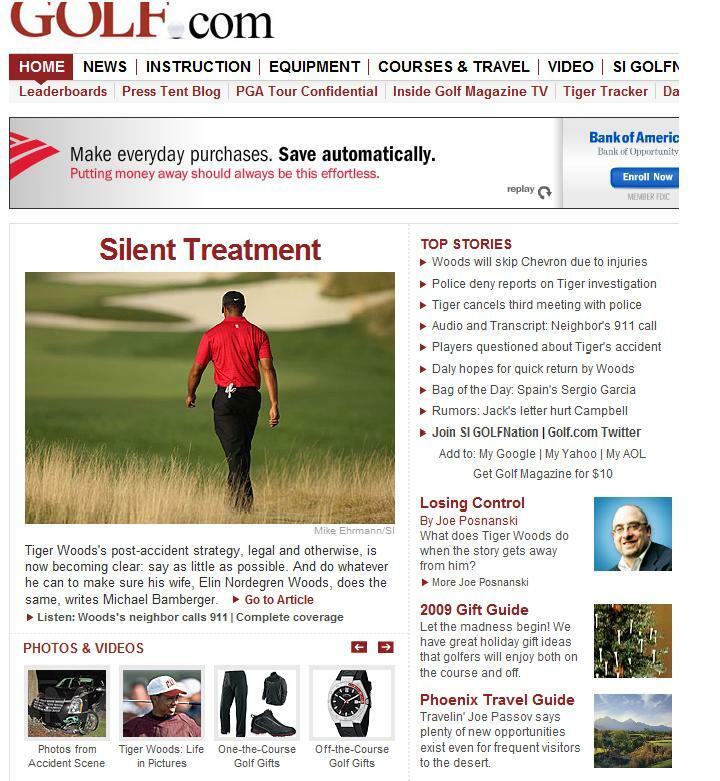 Their feature headline is “Silent Treatment”, which refers to Tiger’s decision to not answer questions about his accident or other rumors swirling around the web. Apparently this week only Golf.com has morphed into TMZ. Mainstream golf writers are writing about 911 calls and mistresses instead of snap hooks and double eagles. Instead of doing press about the game they cover, they are being asked about what they know about Tiger Woods. They are one part legendary golf author Dan Jenkins and another gossip talk show host Tyra Banks. Personally I’m looking forward to seeing David Feherty’s breakdown Tiger’s crash scene in Isleworth with a telestrator of the fire hydrant and crash tree. When will the Tiger Woods hysteria end? Either when he speaks out to tell what happened or there is a bigger story to cover. It is not likely the golf world will see a bigger story in the near future. So Tiger will stay in this media spotlight until there are some answers to the many questions and rumors swirling around. Tiger, I appreciate your right to privacy, but silence is not always golden.